When President Trump visited the Vatican this week, the Pope gave him his encyclical on climate change. An encyclical is a document by the Pope that expresses his personal opinion. 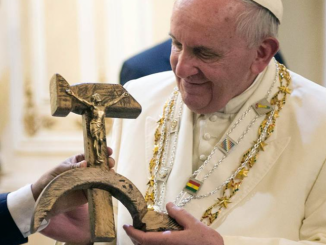 The encyclical on climate change was written by globalists who are collectivists, depopulation advocates, and whose reverence for Gaia (Mother Earth) is on a par with any pagan religion. 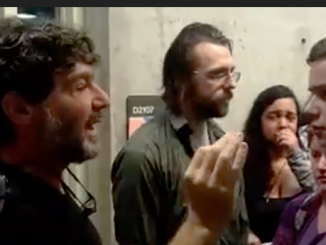 Bret Weinstein, a biology professor for 15 years at The Evergreen State College, has been targeted for a forced resignation. He claims that he was threatened by students who are protesting against racism. Weinstein objected to the students’ demand that white people leave campus on a designated day to comply with a protest. 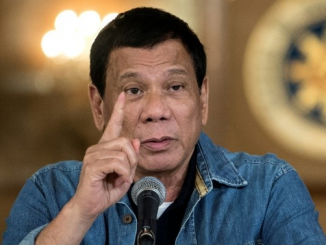 NBC News reports that Philippine President Duterte, notorious for citizen-authorized killing of drug users and sellers, has declared martial law on Marawi, a small Muslim area on the island of Mindanao. Reports claim that 44 people have died in fighting between Muslim militants who claim affiliation with ISIS versus the military and police.